Happy Friday! 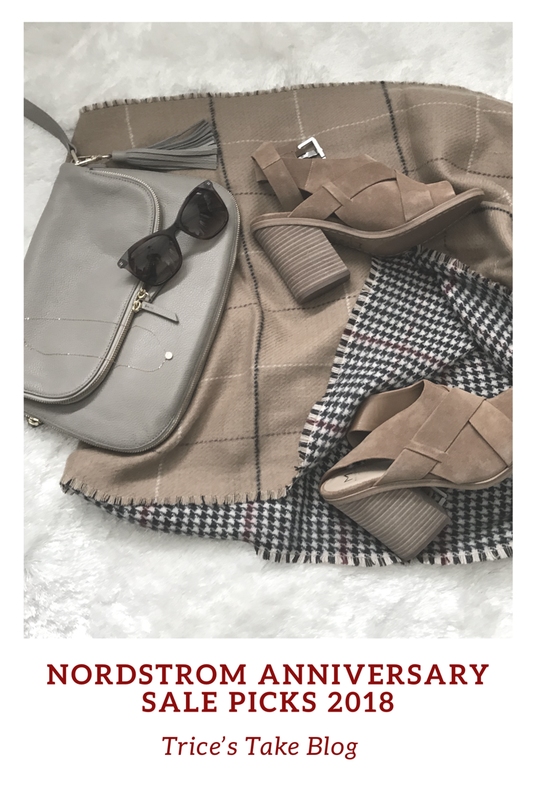 It’s a big day as the Nordstrom anniversary sale is open the the public today 😉 My friend sent me a message yesterday joking that of course I have early access. In all honesty this was my first year shopping the early access. In fact, I never really shopped the anniversary sale until a few years ago. It just so happens that my and my daughter’s birthday are the 13th and fall right in the middle of the sale each year. Family members started buying my daughter great deals for back to school. I loved that she received boots and sweatshirts so we weren’t scrambling come fall and back to school to find items that fit. So, now for my birthday people give me Nordstrom gift cards too. In past year, I got super frustrated with sizes sold out that I actually applied for a card this year to view items for me and my family early. 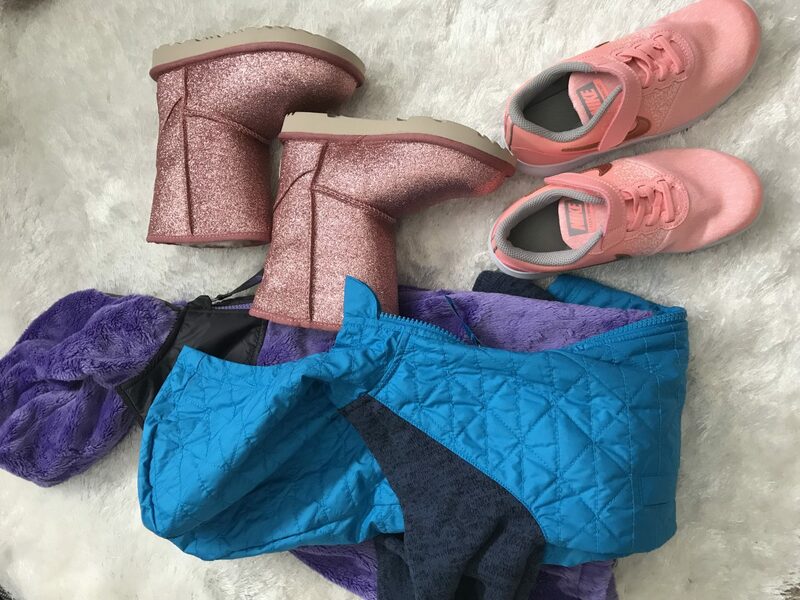 It’s very hot in July so it’s kind of hard to think about boots and sweaters, but for my daughter I usually buy her the Ugg boots in the sale because they last all winter long and our Chicago winters last forever. I also buy her the latest North Face because it’s so cozy and she never complains wearing it. Also, it’s such a great price. This year, I bought my husband and son a few North Face items as well. 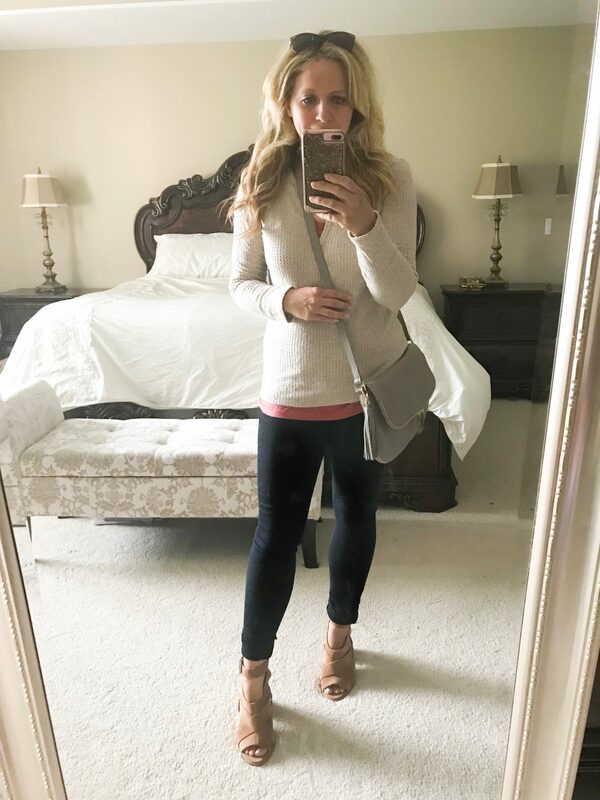 For me it’s all about the momiform that starts with the back to school drop offs of t-shirts and layering pieces. 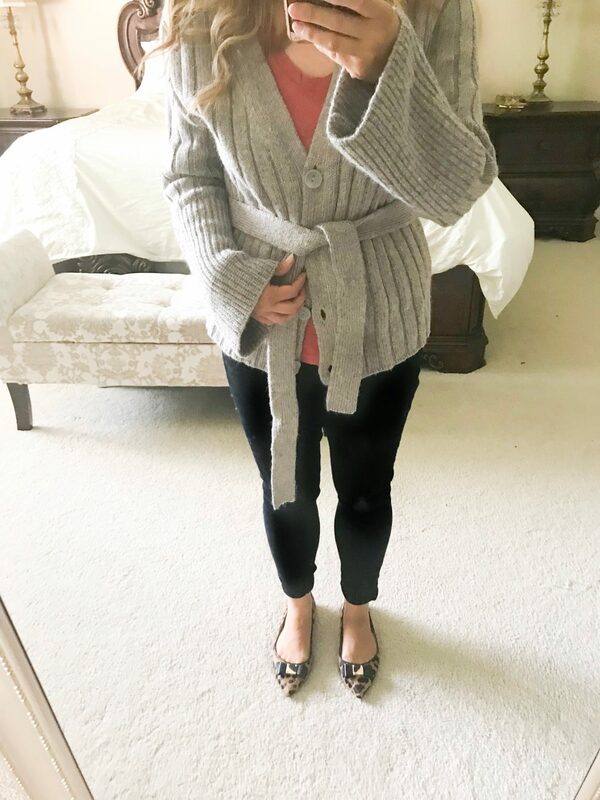 When I roll out of bed to make it to school by 8, I am grabbing the coziest cardigan to throw over my leggings 😉 Every year the Nordstrom anniversary sale does not disappoint in this department. Also, this year I really tried to create a sort of capsule wardrobe of similar colors that I can mix and match. 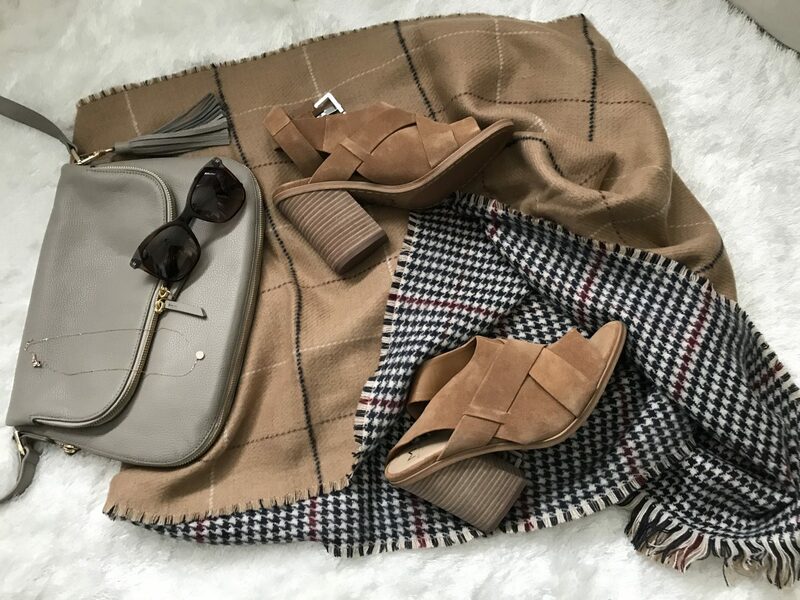 I am really getting excited with Fall with all of these neutral colors. 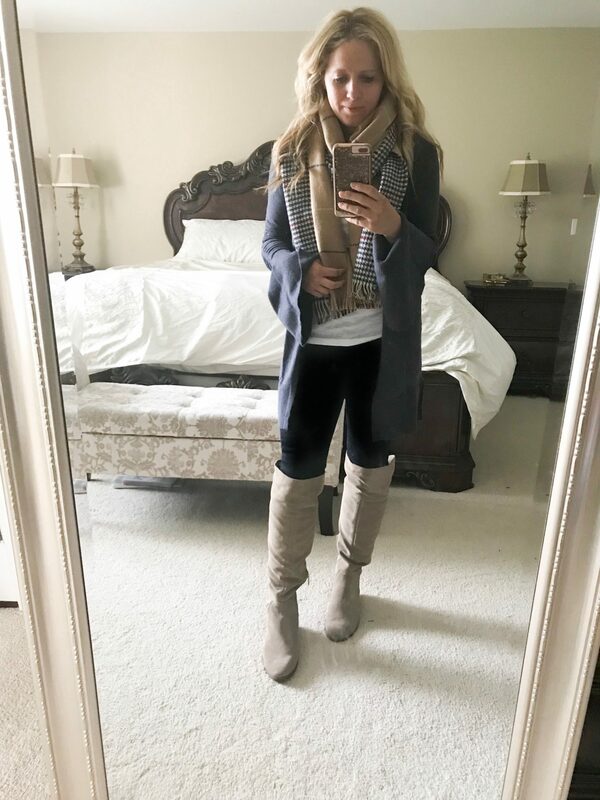 The boots I picked were an open toe, but in a beautiful carmel tan color that can easily be transitioned to Fall. I also picked up a pair of lighter boots that I have been looking for in this color for years. 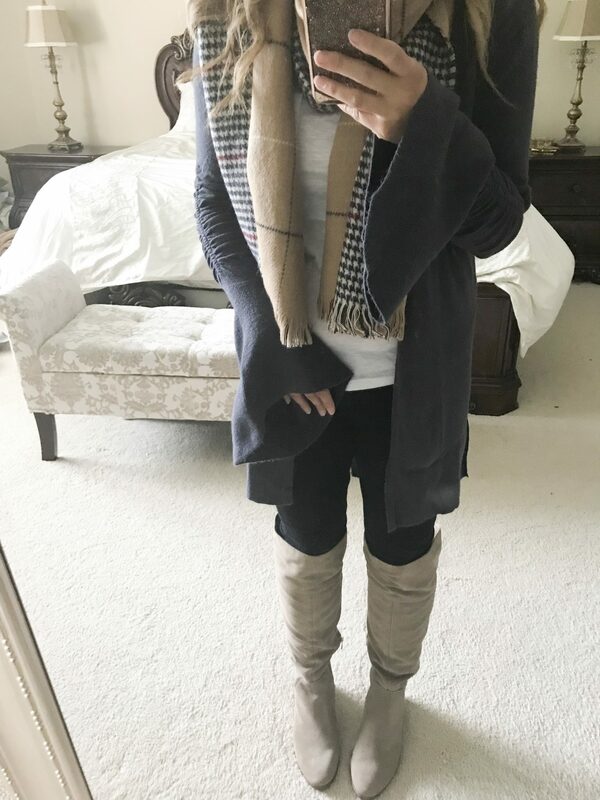 I also love to find wide calf boots because I have a hard time fitting boots around my calves. Also, what says Fall better than leopard print? 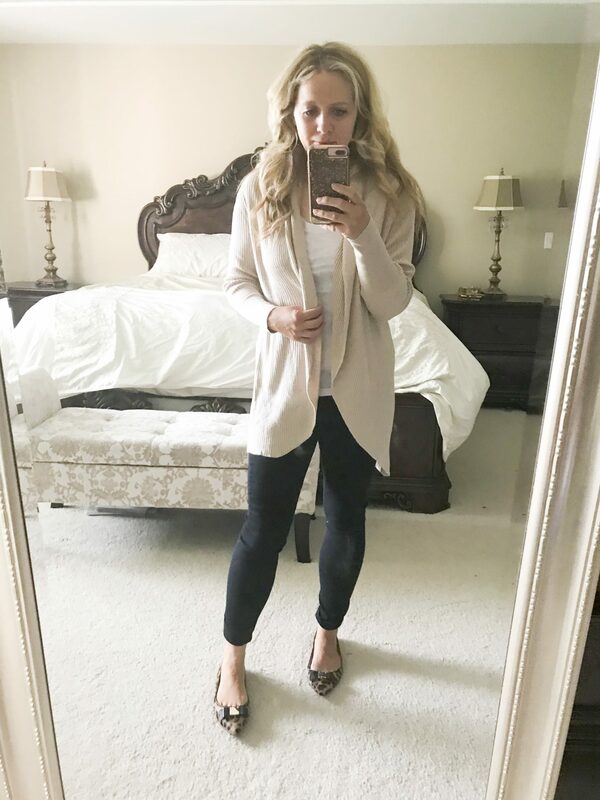 I love adding a touch of leopard and these leopard flats with the bow were too good to pass up. They add just enough ‘extra’ to a simple momiform. I also, took advantage of a few accessories/beauty items that were such a great deal. I have been looking for a delicate little necklace that I can wear daily and this one by Nardi is beautiful. I bought in gold and rose gold. Such a great buy. 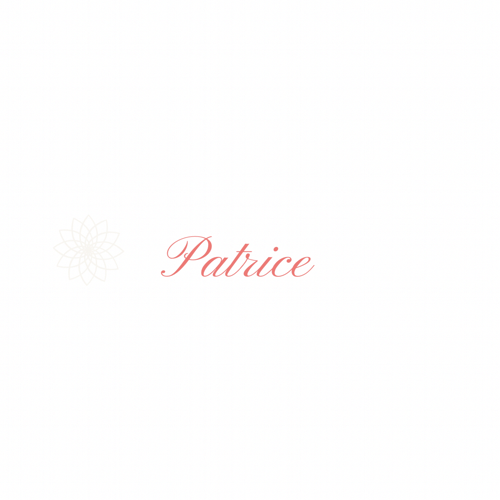 I also bought this new eye shadow/blush palette because I needed a new white eyeshadow and the colors in this one are lovely. For my daughter I usually buy her the Ugg boots in the sale because they last all winter long and our Chicago winters last forever. I buy her the next size in North Face because it’s so cozy and she never complains wearing it. The Nike sneakers are also a must buy each year because we still haven’t mastered tying shoe laces. This year, I bought my husband and son a few North Face items as well. Hope this gets you as excited for Fall as I am and helps make your back to school a little less stressful. Happy Shopping!